But unlike America’s in Iraq, Russia actually has accomplished its mission. In what appears to be another carefully planned masterstroke vis-a-vis the US, NATO, and its Persian Gulf allies upon and around the Syrian battlefield, Russia has announced that it is withdrawing its forces after its 5 month long intervention on behalf of the Syrian government in Damascus. In a surprise move, Russian President Vladimir Putin has ordered his military to start withdrawing the “main part” of its forces in Syria from Tuesday. He said the Russian intervention had largely achieved its objectives. In a hamfisted attempt to mitigate the impact of Russia’s statement, US analysts and commentators among many prominent Western news outlets have attempted to frame the announcement as a ‘cut and run’ move made by Moscow after decimating US-backed “moderate rebels,” and leaving the so-called “Islamic State” (ISIS) mainly intact. Andrew Peek, a former strategic adviser to the top NATO commander in Afghanistan, admitted in his NY Daily News op-ed titled, “Why Putin’s pulling out of Syria: He got what he wanted — which is not what he said he wanted,” that ISIS has lost some 25% of its territory during the Russian intervention. It should be noted that Russia’s intervention had begun and ended in a fraction of the time the US has been “fighting” ISIS. The US intervention – a much more lengthy military campaign – had overseen not a reduction in ISIS territory, but the vast and otherwise inexplicable expansion of the terrorist organization before Russia’s arrival in Syria. Another attempt by the West to frame Russia’s announcement as a “failure” for Moscow includes claims that Russia can no longer sustain its operations. Upward estimates of the cost of Russia’s operations in Syria ranged between 1-2 billion USD per year – approximately 1/50 of Russia’s overall annual defense budget. Indeed, according to RT itself, Russia’s defense export agency Rosoboronexport alone pulled in over 15 billion USD in 2015, with another 15 billion planned for 2016. While Russia is undoubtedly feeling the pressure of sanctions and the West’s manipulation of energy markets, providing air support to the Syrian Arab Army was – and still is – a very sustainable undertaking. To truly put this announcement in proper context, it helps to understand just what the battlefield looked like in Syria before Russia’s entry into the war and how it looks now. In approximately mid 2015, it was clear that US-backed terrorists were openly coordinating with groups including Jubhat Al Nusra, a US State Department-listed foreign terrorist organization. Furthermore, this new combined front, primarily operating in northern Syria from Turkish territory, appeared to be coordinating with ISIS in the east. In fact, a coordinated offensive in the north where logistical lines were shorter and easier to maintain put significant pressure on Damascus to redeploy troops to this front. At the same time, ISIS surged toward Palmyra from the east. Both operations were large enough to implicate significant planning and staging, perhaps even months head of the coordinated, two-front offensive. Russia intervened at the height of this shift in which Damascus found itself forced to make a series of strategic withdrawals. While the force Russia brought was relatively small compared to typical Western military interventions, operations were intense and undoubtedly effective. Virtually all of the terrorist gains made during the mid-2015 offensive were rolled back or significantly contested, while logistical lines feeding Western terrorist proxies from Turkey were exposed and destroyed. With the tide clearly turned, the bulk of necessary combat missions for Russia are indeed over. What is left is monitoring the ceasefire, continued strikes against ISIS, and the ability if necessary to strike logistical lines leading into Syrian territory if they are reestablished. But because Russia has announced its withdrawal, and because of the West’s eagerness to pounce on acknowledging it, if only to condemn it as a sign of weakness and failure, the West itself will now have great difficulties if it tries to further perpetuate hostilities on the ground. Of course, the West fully intends to continue training and equipping terrorists along Syria’s borders and sending them into the country – US generals before the US Congress have recently testified saying as much – and of course Turkey, Saudi Arabia, and other US allies in the region plan to continue supporting terrorist groups already operating in Syria – but they all do so in the aftermath of a grand gesture of deescalation by Russia. And while Russia and even the West have framed this latest move as a “withdrawal,” the reality is that Russia will be maintaining the only two military installations it ever had in Syria. Russia will continue to maintain enough of a presence to respond effectively to any shift back in favor of the West’s proxies – proxies who are supposed to be observing a ceasefire, and who – if they violate it now in the belief that Russia will no longer respond – will not only expose their own treachery and that of their Western sponsors, but will justify a wide range of retaliatory actions to be taken by Syria and its allies – including Russia. 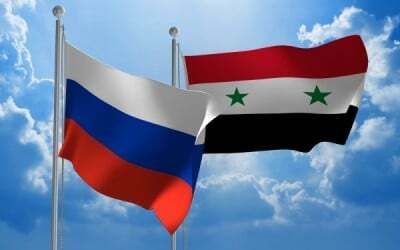 Russia’s grand gesture is made with the sure knowledge that whatever forces it leaves behind in Syria will be more than adequate to support Syrian troops who are now making huge gains on the battlefield. The initial force needed to reverse the immense, nationwide coordinated offensive undertaken by Western backed terrorists in 2015 is no longer necessary. Russia will be cutting back on an already cost-effective military campaign, while providing itself and its allies additional credibility during the ceasefire and ahead of peace talks. All the while, it will still be more than capable of responding to any conceivable threat posed to its allies in Damascus.